KITENDE – Vipers SC returned to winning ways with a 2-0 victory over Onduparaka at the St. Mary’s Stadium in Kitende. 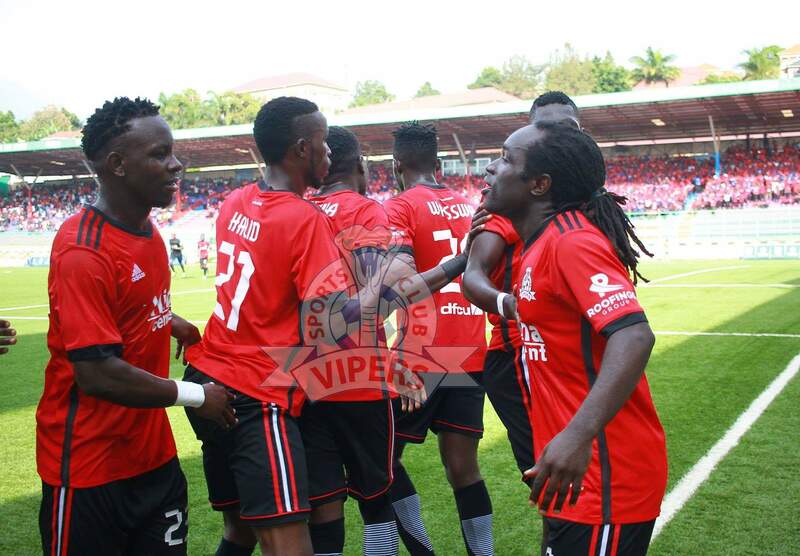 After two conservative goalless draws, the Venoms struck thrice in the second through Geoffrey Wasswa, Dan Sserunkuma and defender Livingstone Mulondo. The Venoms who were starting life with Edward Golola back started strongly with Tito Okello firing wide after a goal-mouth scramble in the Onduparaka area. At the other end, Vianne Ssekajugo made a good run down the left and sent in a low cross which was taped out by Ezra Bida with Vipers goalkeeper Fabian Mutombora struggling. Moments later, Vianne tried his luck from distance but Mutombora dived low to save and Tadeo Lwanga cleared the ball out for a corner. At the hour mark, Geoffrey Wasswa went agonizingly wide from a free-kick after Moses Waiswa was fouled by Rashid Toha. Three minutes later, debutant Innocent Wafula missed a glorious opportunity to give Vipers the lead, connecting poorly with a Yayo Lutimba cross from the left. Moments later, Ssebwato saved a Tito snap shot from just inside the area, sending it out for a corner. At the stroke of half time, Vipers failed to clear their lines after a Gadaffi Gadinho corner and they were lucky to see Toha’s bicycle kick rebound off Ibrahim Kiyemba’s head and out for a throw in. Onduparaka went all out at the start of the second half, dominating the early possession and saw Gadaffi shoot from outside the area but his weak effort was comfortably saved by Mutombora. At the other end, the ever industrious Wasswa made it 1-0 to the hosts. The defender-turn midfielder gathered Kiyemba’s throw in and ran towards goal before dinking the ball over Ssebwato and into the net off the right-hand post. With 51 minutes played, Vipers made their first substitution, sending on Brian Nkuubi for the ineffective Moses Waiswa. Two minutes after the switch, Nkuubi played in Sserunkuma who saw Ssebwato slightly off his line and sent a perfect shot into the back of the net to double Vipers’ lead. The Venoms should have added onto their tally on 56 minutes but Wafula could only look on in disgust as his low shot was deflected out for a corner by Toha. On 59 minutes, substitute Nkuubi tested Ssebwato from distance but the custodian was on hand to purry the ball over for a corner. Four minutes past the hour mark, Wafula was brought off and replaced with Abraham Ndugwa, much to applauses from the home fans. With 19 minutes to play, Nkuubi and Tito played a breathtaking one two but the later could only shoot straight at Ssebwato and Toha cleared the rebound out for a corner. From the resultant kick, Mulondo put the game to bed, heading in powerfully Yayo Lutimba’s pin point corner for 3-0. Vipers had three other opportunities to score a forth but it just couldn’t be. First, Wasswa made an overlap but could not beat Ssebwato from close range. Then Tom Matsiko sent in a ferocious shot from outside the area but was gathered routinely by the Onduparaka shot stopper. The last meaningful action saw Nkuubi shot from distance but his effort flew over for a goal kick. The three points earned consolidate Vipers’ second position on the StarTimes Uganda Premier League table with 29 points from 14 games while Onduparaka remain 3rd after collecting 24 points from 15 games.